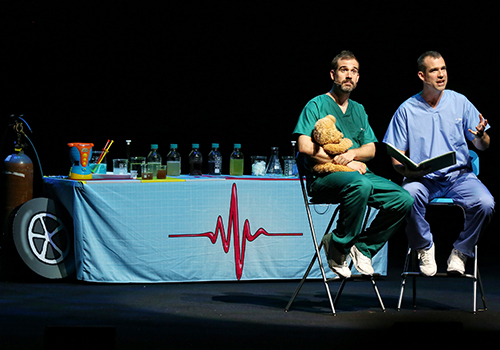 Get your stethoscopes at the ready: hit CBBC television series Operation Ouch! is set to explode onto the Apollo Theatre stage this Christmas. Perfect for kids (but guaranteed to teach adults a thing or two they didn't know), this educational journey into the world of biology is one that families will not want to miss. 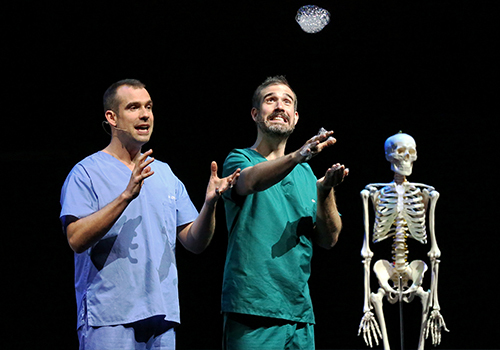 The BAFTA-winning TV show is the creation of identical twins Dr Chris and Dr Xand, and promises to be even more eye-opening and mind-bending when experienced live. The stage show will feature stunts, experiments and facts that will blow its audience away. Learn some of the amazing things your body can do and get answers to the questions you didn’t even realise you wanted to know. What’s sneezing all about? How on Earth can bugs be good for you? And what – we hear you ask – can you do with a month’s worth of farts? As well as this, the good doctors will share their favourite moments from the much-loved TV show. Dr Chris and Dr Xand van Tulleken grew up in London and completed their medical training at Oxford University. The prolific pair have worked in the UK’s National Health Service and have also contributed to global health work and television. 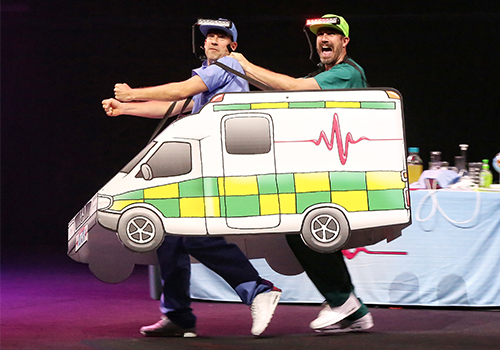 You may recognise them from programmes such as Sugar V Fat, The Secret Life of Twins, Blizzard: Race to the Pole, Medicine Men and the follow-up Medicine Men Go Wild, as well as five seasons of Operation Ouch! The brothers still work in medicine, with Dr Chris at University College London Hospital and Dr Xand at Fordham University’s Institute of International Humanitarian Affairs. How do they fit it all in? 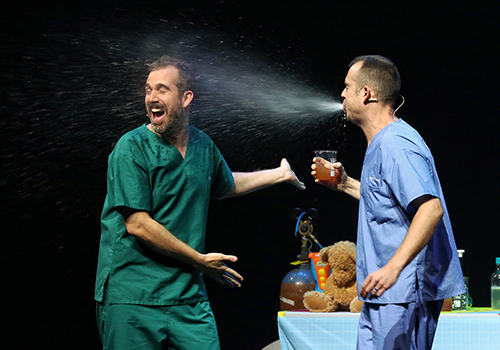 Rest assured you don’t need to remember your GCSE Science to enjoy this innovative show. 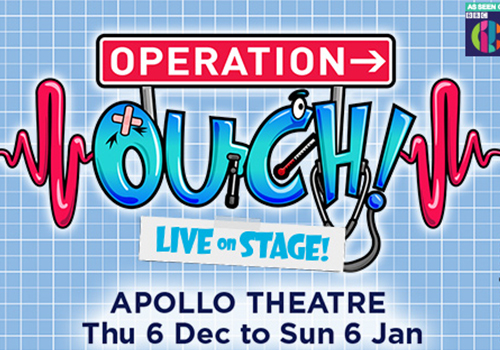 This Christmas, bring along the family and delve into the world of biology with the madcap Operation Ouch! The show is recommended for those aged 5–12.